The whole world has been enjoying McVitie’s Digestive on so many occasions. From being the UK’s favorite tea time snack to serving royalty with their most delectable cake creations during memorable celebrations, McVitie’s has widened its range of digestives that everyone can enjoy – from the health buffs to those with the sweetest tooth. The original McVitie’s Digestive has become the perfect match for tea and become more than just a tea time snack. Made from the blend of wheat and Goodness of whole meal flour, this favorite biscuit has become a base in order to create more delectable gastronomic creations, such as a cheesecake. As the people’s taste and health preference change through the years, McVitie’s went with the flow of time and introduced variants of the favorite digestives in which more and more people are enjoying today. Health buffs and those who are keeping a diet can enjoy with less guilt McVitie’s with its light variant. The McVities has 30 percent less fat and is made using sunflower oil, giving each biscuit only 65kcal – an amount of calories that is less than how much is found in a banana. Health buffs can have as much McVitie’s Light as they need. It will definitely be hard to resist not to have more of this good stuff. Now for those who have a serious case of sweet tooth and still want the benefits of the digestive biscuit, McVitie’s came up with a variant that could bring anyone the best of both worlds – healthy biscuit with a sweet and delicious taste. Covered with a layer of milk chocolate on one side, every bite melts into a rich and indulgent taste that plays with your taste buds. About 75 million packets of this sweet treat are consumed each year – a testament to its enjoyable taste and the amount of people enjoying McVitie’s Milk Chocolate. McVitie’s also created the Dark Chocolate Digestive for chocolate lovers who like the bittersweet taste of chocolate. The combination of the strong cocoa flavor and the classic taste of the digestive make the biscuit a truly mouth-watering treat. 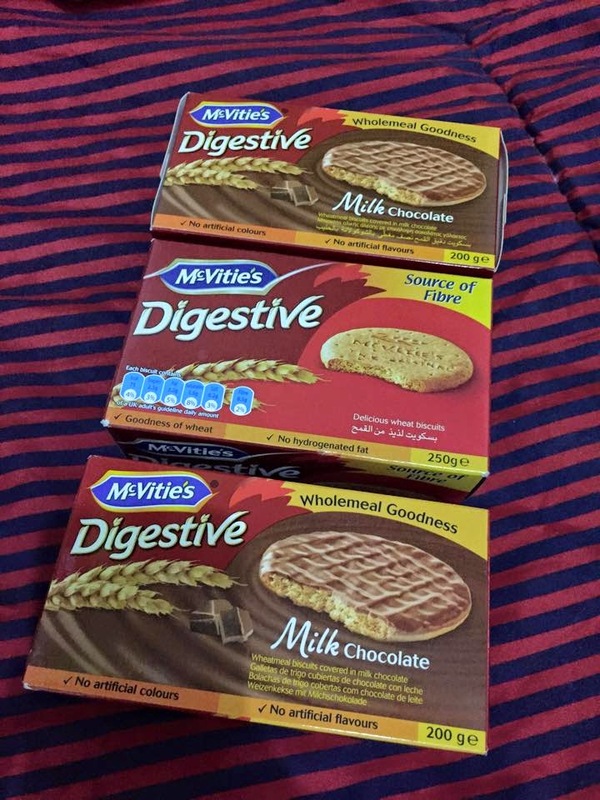 McVitie’s continues to come out with other variants that are specially made for specific consumers – kids and adults alike. Whatever the future holds for McVitie’s and their delicious treats, there are definitely a lot of people who would buy them to keep the goodness coming. McVitie’s Digestives are available at leading supermarkets nationwide. It is distributed in the Philippines by Delfi Marketing Inc. For more about McVitie’s Digestives, visit www.mcvities.com, or click “Like” on its Facebook page, www.facebook.com/mcvitiesdigestives.